Open Mike Eagle deserves a vacation, and yet it’s doubtful he’ll take one anytime soon. Following the success of 2014’s Dark Comedy, he spent last year on tour and television, making appearances as a contestant on @Midnight with Chris Hardwick, and performer on The Eric Andre Show and Why? with Hannibal Burress. He’s vying for Maron-level regularity with his podcast Secret Skin, which has featured guests like Samuel T. Herring of Future Islands, Nick Thorburn of Islands, J-Zone, Fat Tony, and Aesop Rock. He also released the Split Pants At Sound Check EP and formed a group with Serengeti called Cavanaugh. There’s no vacation in sight as today he announces his next full length album, a collaborative record with UK producer Paul White entitled Hella Personal Film Festival. 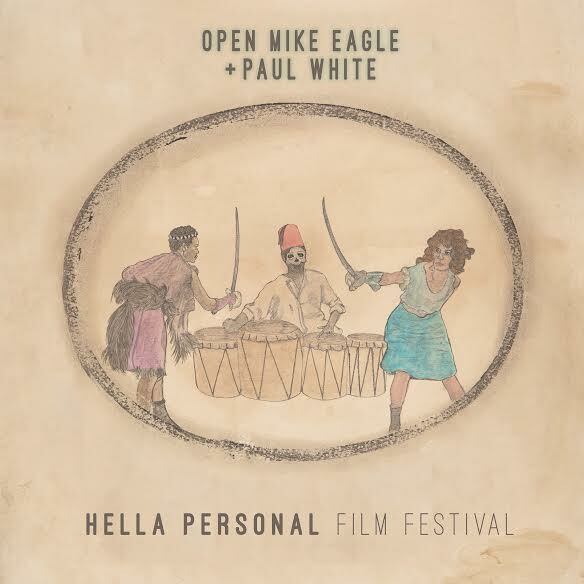 Due in March, Hella Personal Film Festival is produced entirely by White, who is known for his production for Homeboy Sandman, Mos Def, and Danny Brown. On lead single “Check To Check” White keeps the bpms bouncing for Open Mike Eagle to rekindle a bygone wordplay trope of the early Aughts. “Check To Check” exhausts all definitions, nomenclature, terminology, and annotation of the word check. From checking email to cashing checks, Open Mike Eagle proves there was an untapped resource in the underground hip hop era of lyrical aptitude. “Check To Check” was sitting right under the noses of every alliterating, comic book conceptualizing, metaphor prone, alphabetizing, lyrical athlete rapper of 2002. Hella Personal Film Festival will feature guest appearances by Hemlock Ernst and Aesop Rock. The album is out March 25 on Mello Music Group and available for preorder on Bandcamp and iTunes. The “Check To Check” single is available for a limited time as a free download.